Marion is an outstanding public speaker on Women’s issues, including issues related to violence against Women and Children/Cultural Diversity and Health. Marion also speaks on women in politics, social justice, and dispute resolution in Family Law. 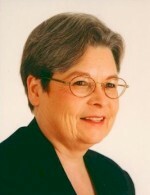 Marion Boyd received an Honourary Doctorate of Law (LLD) from the Law Society of Upper Canada on June 14, 2011. Looking for a copy of Marion’s Report: Dispute Resolution in Family Law: Protecting Choice, Promoting Inclusion. You can download a copy from the Ministry of the Attorney General Website by clicking here.